Stylishly designed with superior furnishings and premium accessories, the iconic Pan Pacific Serviced Suites Singapore offers an ideal luxury serviced accommodation in a city centre location. 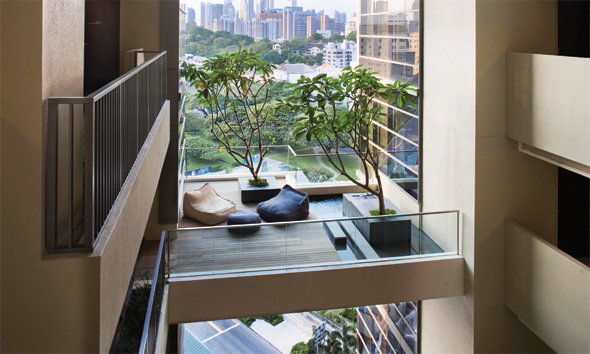 It is next to Somerset MRT station on Orchard Road, right in the heart of Singapore’s prime shopping district. The apartment is also just 20 minutes from Changi International Airport and less than 10 minutes from the Central Business District. This prime location means that guests are never far from the action, whether they want to work, play, dine or take in a few local sights. 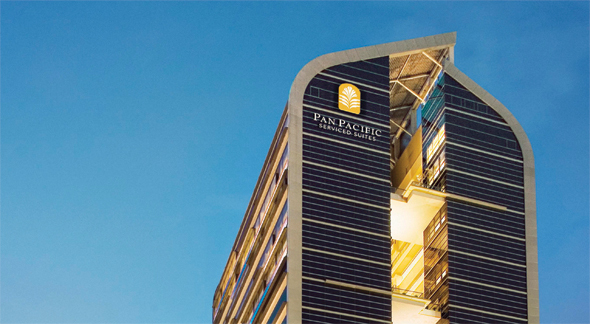 Pan Pacific Serviced Suites Singapore will charm you with sensory indulgences the moment you enter. Warm lighting and spacious suites with modern Pacific Rim influences create a rich urban escape. Well-appointed and contemporary in design, the 126 stylish suites and penthouses are ideal for guests seeking a comfortable extended stay in Singapore. The serviced suites have been designed after taking into consideration what the frequent business travellers seek in an ideal accommodation during overseas postings. And as it turned out, the most important things were having local insights and being able to live just as easily as at home. The round-the-clock Personal Assistant at the serviced suites is akin to a modern day butler. Their role is to help guests connect to their new surroundings, get from point A to B and experience the real Singapore. Guests can rely on these highly trained and dedicated Personal Assistants to get them around, whether for a business engagement, social networking or a relaxing soiree. In terms of facilities, the apartments are designed to make working as easy and efficient as possible. The suites include IP telephone system with IDD, DID and voicemail features, wired or wireless broadband Internet access and other things to help guests get on with business. For something special, guests can invite colleagues, clients or friends to a gathering at the Sky Garden and unwind with a cocktail or two while taking in the views over Orchard Road, Raffles Place and the surrounding area. Every business person knows that it is just as important to be able to relax and re-energise as it is to work. With a hydro-therapeutic spa, mineral water pool and state-of-the-art gym, Pan Pacific Serviced Suites Singapore has everything to unwind and stay in shape, both physically and mentally. Enjoy the excitement of city living, personalised for you here at Pan Pacific Serviced Suites Singapore – recently named Singapore’s Leading Serviced Apartment at the World Travel Awards 2010. Book your stay now at panpacificservicedsuites.com.